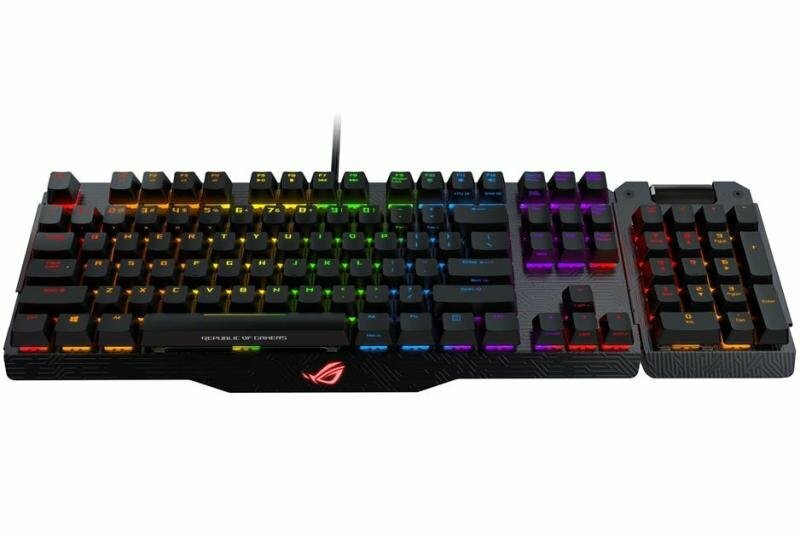 ROG Claymore gaming keyboard (100%), it equips Cherry Red MX RGB mechanical switches with macro functions to give users flexible placement options. 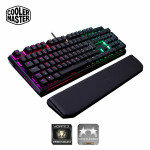 This keyboard features individually backlit, customizable keys with RGB lighting and N-key Rollover technology. It can be synced to ASUS/ ROG motherboards, with hotkeys allowing users to control fan speed, monitor CPU temperature via the keyboard's backlight, and synchronize LEDs between Claymore and Aura compatible mice, Graphic card and motherboards. Furthermore, boot up system with CPU or memory overclocked with Keybot S5 features. Finally, ROG Claymore has a durable aluminium-alloy frame with Mayan-inspired detailing for a premium look.